Polyester resin are used in fiberglass and rock wool industries. Casting process can take place in open molds or vacuum sealed tins. During the hardening process styrene fumes are emitted, in both the open and closed proces. The Fumes are heavy and extremely harmful. 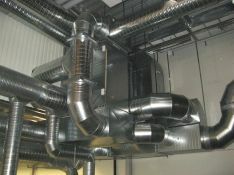 Effective ventilation is here crucial for a smooth production process. We are experianced with the entire casting process and understand the problems of styrene. We can therefor deliver complete solutions tailored to each production. 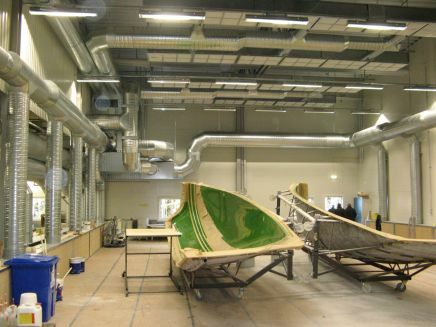 Looking at those marvellous finished products produced by the plastics industry, it is hard to imagine just how harmful the working environment at the production sites can actually be. In addition, the pollution might be difficult to detect because it often consists of invisible fumes and gasses, emitted during the moulding and hardening processes. We "see" those invisible fumes, and therefore we strive to provide turn-key solutions that ensure the best possible working environment.